Jura limestone is unique in our range of limestone tiles. 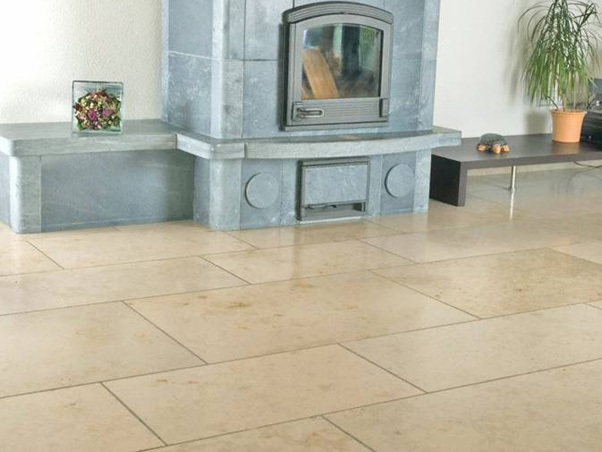 The base colour of the stone is beige, but it is the characteristics of the stone which makes the tiles stand out. The tiles are honed to show the limestone's character to its full. A mixture of broken shells and fossils are visible as well as a small amount of veining. Edges are diamond sawn square cut. The limestone is also one of the hardest in our range of limestone's, making it ideal for use in entrances, kitchens and other high traffic settings. Jura Limestone is also effective on walls because of the colour and interesting features.